The magic to make all things possible. RaeAnne is the oldest daughter of my dear friend Kim. In September 1998, at the age of 9, RaeAnne was diagnosed with leukemia. On December 31, 1998 she underwent a bone marrow transplant. I spent the whole procedure with her, doing crafts, drawing, laughing and goofing around. Her spirits were so high and her mood so good, never in a million years would you guess her body was sick. RaeAnne's strength, courage, optimism and dedication to having fun never wavered. Every New Year's Eve, she celebrated the anniversary of her transplant by throwing a slumber party. Sometimes these happened in a hospital room. 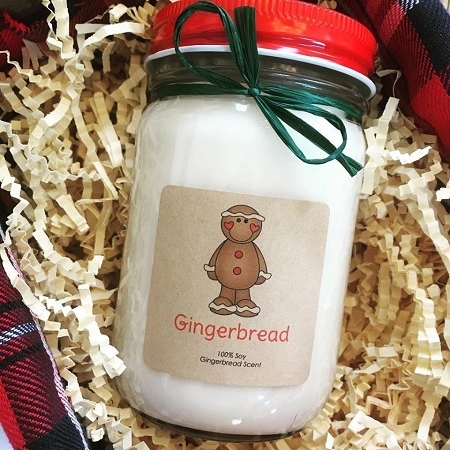 To mark her five year anniversary of the transplant and to call upon continued strength while facing serious health challenges, she created this very special, very personal candle, which we actually poured together in her room on the Pediatric Oncology Ward at Sacred Heart Hospital in Spokane. Then, at midnight on December 31, 2003, we bundled her up and wheeled her to an outdoor terrace where she and her best friends Lizzie, Sam and Brett, and her sister Natalie~who also made their own candles that night~each lit their candle in the snow and set off party poppers. It was an extraordinarily fun, silly, magical night. RaeAnne passed away March 7, 2004, her Mom, Dad and sister Natalie with her. She never lost hope or optimism, even at the end when she was in horrific pain. Everyone who attended her memorial service received one of her candles. Her body, which her spirit fought so hard for, may be gone, but the magic of her spirit lives on in the hearts and lives of everyone who knew her. RaeAnne changed my life and stretched my heart, and I feel honored to have been loved by her. RaeAnne was zena moon's #1 fan. She spent hour and after hour reading this site, planning custom candles and handing out my business cards to everyone who visited her in the hospital! I crowned her VP of Sales & Marketing and threatened to bust her out of the hospital and bring her to live with me. We poured candles in her hospital room several times, and she asked to setup candlemaking equipment in her parents' garage after she got out of the hospital. She asked me to make her RaeAnne's Magic available to others, and it's my privilege to share them with you. 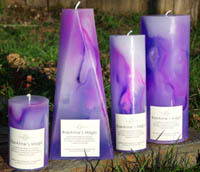 She also wanted to provide a way for other kids facing health problems to personalize their own magic candles, and they will be coming soon. Here's to you, beautiful RaeAnne.